Console bundles proved immensely popular during Black Friday, with most of the titles in the UK top ten packaged with either a shiny new PS4 or Xbox One. Software sales were up 89% over last week, and 3% up over Black Friday 2016. To give a clearer image, it was reported that 1.9 million games were sold during last year’s Black Friday. Call of Duty: WWII managed to retain the top spot, making it four weeks in a row, while FIFA 18 moved up one position to take #2. 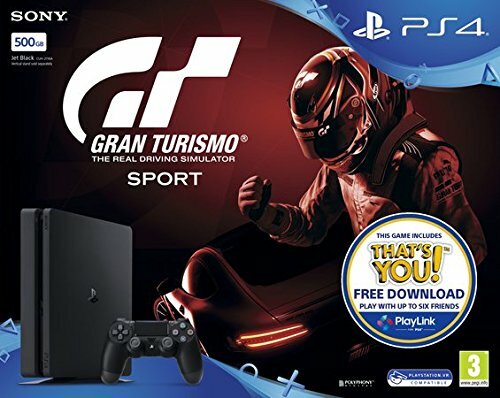 Popular PS4 pack-in Gran Turismo Sport managed to rise to #3, up from #12. EA’s Star Wars Battlefront II was the only game in the top ten to take a tumble, falling to #4. AC Origins moved up to #5. At #6 – up from #12 – it’s Forza Horizon 7. Fellow Xbox One pack-in Forza Horizon 3 shot up a few places too, rising from #16 to #12. Wolfenstein II: The New Colossus made a triumphant return at #7. The Evil Within 2 wasn’t as lucky, merely re-entering at #29. Super Mario Odyssey stuck around at #8. Mario + Rabbids Battle Kingdom also saw a small sales boost, climbing the top 40 several places. Good old Fallout 4 showed up at #9, rising from #23. Finally, Need for Speed Payback rounds off the top ten. As for new releases, Knowledge is Power and Hidden Agenda – both of which are also being packaged with PS4s this winter – arrived at #14 and #15 respectively.